Sorry, if you don't live near one of the major advertising headquarters (e.g., New York City, Los Angeles, Miami), your opportunities for making the big bucks will be limited. However, other cities still need talent for local ads, so if you're interested, it won't be hard to join a modeling agency. Agencies need a lot of people in their line-up because infants grow so quickly and there are many, many baby products that require advertising. Most websites will tell you that if you are required to pay a hefty start-up fee or monthly expense for keeping up your child's photo portfolio, then turn the other way. Do some basic online research for modeling agencies in your area, and check out reviews to make sure they're legit. The agency we went with requested a one-time $85 administrative fee that covered Dexter from 0-4 years old. The administrative fee was used to maintain his portfolio. Since they didn't require professional photography for his comp card (yay! ), every month for his first year I would have to send in photos from my point-and-shoot camera and an update on Dexter's latest measurements and developmental milestones. 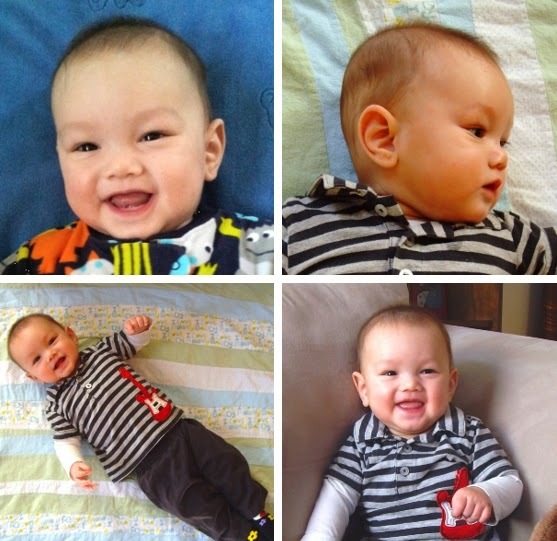 Here are his 6-month-old pictures from four different angles: front head shot, profile shot, full body shot, and fun personality shot. Honestly, baby modeling is a lot of work with a very low rate of success. The modeling agency may ask you to attend auditions only 1-3 days in advance, so you must be in a position (aka stay-at-home parent) where you and your kid can come at the drop of a pin. The client usually selects several children for the final shoot (scheduled a few days later) because babies' moods can change on a dime and they want to have different looks to choose from.Your agency will advise you on best practices for auditions, but generally your baby should come in plain clothing, have a fresh diaper, and be well-groomed. At one point, they recommended we trim Dexter's hair so he would look younger, but we chose to ignore them (I wasn't quite ready for his first haircut yet). Stop modeling as soon as your baby or child doesn't enjoy it. For us, we got the most auditions when Dexter was really young because babies aren't expected to do much and the competition is less since they grow out of that phase so quickly. However, as he got closer to his first birthday, I recognized that my son has my introverted personality and takes a while to warm up to new situations (which photographers don't have the time for). And like most 1-year-olds, Dexter developed a healthy dose of separation anxiety, which made it impossible to take photos without Mommy holding him. The kids who excel in this business have an easygoing temperament and are good with strangers. Lesson learned: if you want to try baby modeling, don't do it for vanity or money. It takes a strong commitment to stick with it enough to even make a few bucks. You may get a good (or at least interesting) experience and some nice photos out of it. Or you may waste a lot of time and gas money dragging your unhappy baby around to go-sees in the middle of nap time. 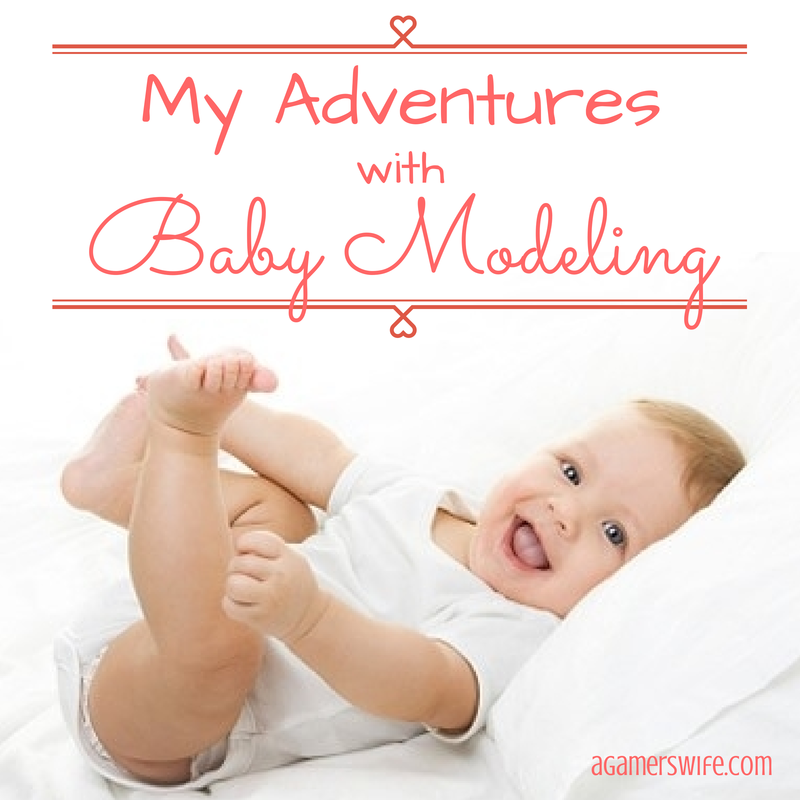 Have you ever tried out baby modeling? What was your experience?